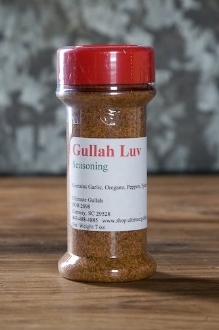 This spice adds Luv (love) to every dish. Contains Garlic, Oregano, Peppers, and uddah t'ings. 7oz. plastic bottle with sifter. All purpose. Great Rub!